It’s not uncommon to see whales near Fischells beach in Bay St. George, but the latest sighting has been out of the ordinary. It's not uncommon to see whales near Fischells beach in Bay St. George, but the latest sighting has been unusual. The whale has been dead for weeks, according to people who live in the area. 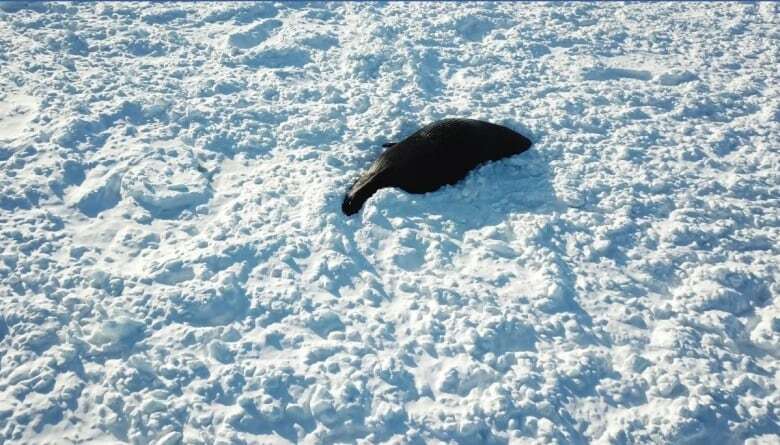 Its body is trapped in ice; half in, half out of the water. "We never had ice like this in a good few years," said Brian King of Jeffries, a ten-minute drive from Fischells beach. King used a drone to capture close-up images of the whale, which he said was about three and a half kilometres from the shore. King said he first heard about the whale a few weeks ago, and so he believes it's been dead for some time. He said he waited for a calm, clear day to take video. Such a sighting is rare, he said, but he did recall a similar situation when he was growing up. "That's a long time ago, when I was a young boy. So I was pretty interested." A spokesperson for the Department of Fisheries and Oceans said the drone footage has been shared with the department. 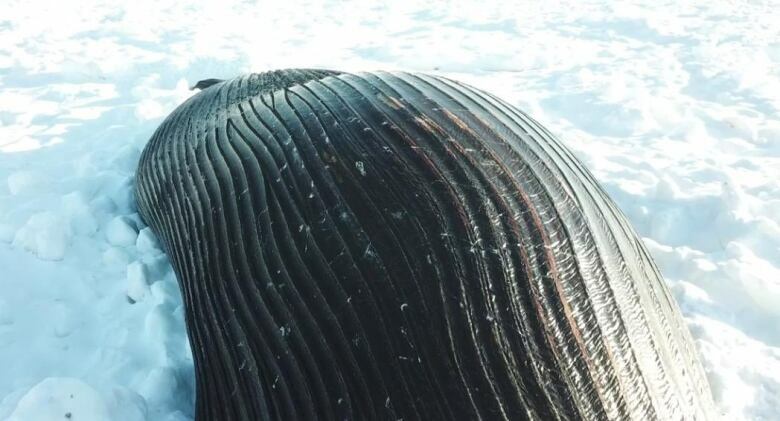 Jack Lawson, a whale researcher with the department, is working with an expert in Quebec to identify the species. Lawson is also working on a plan to obtain samples of the whale for research, according to the department. 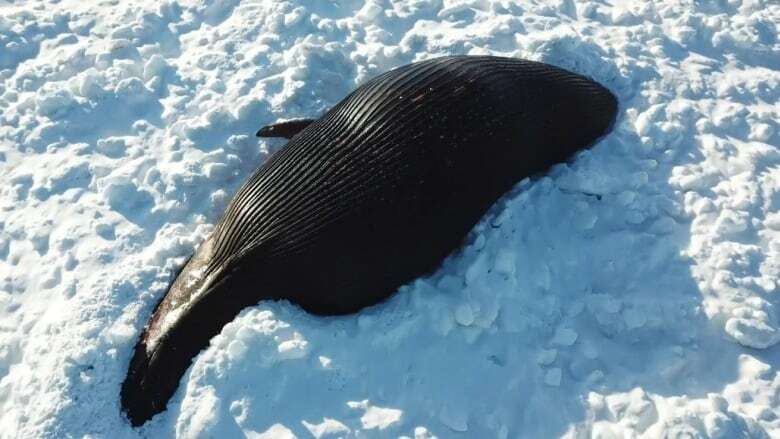 A number of dead whales, including humpbacks, blue whales and right whales have washed up on Newfoundland's shores in recent years.